These powerhouses have nothing in common with off-the-shelf forklift trucks. They lift huge steel elements, fully loaded containers or entire ships. 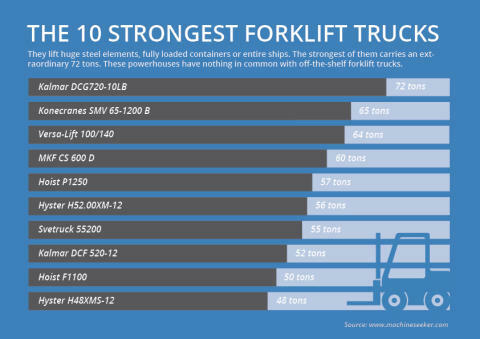 Machineseeker, the marketplace for used machinery, now published a ranking of the world’s 10 strongest forklifts.